A full range of hand-operated soil sampling equipment for collecting soil samples, cores for environmental and geotechnical assessment. High quality tooling and liners compatible with established direct push tooling manufacturers. Comprehensive range includes probe rods, macrocore, dual tube, vapour points, pre-packs and liners. Devices for collecting samples from drums, tanks, river beds and sludge ponds. Choose from a range of core samplers and dredges. We supply high quality tooling for drilling and direct push soil sampling, including samplers, screens and probe rods. 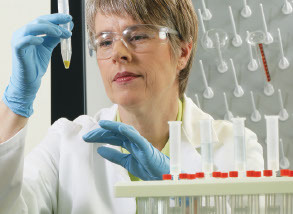 We offer a range of instruments and consumables used for organic contaminant analysis. Understanding the nutrient components in soil as well as testing biosolids (often used as fertilizers) and plants are necessary in order to determine how much fertilizer is needed. The levels of pesticides and contaminating metals are also routinely evaluated.